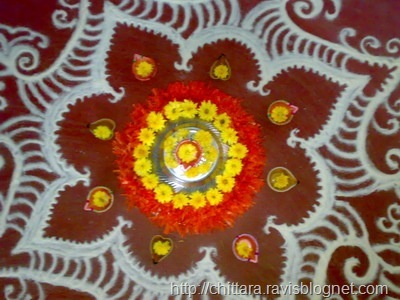 Flowers, Chiroti rava, a Bowl, Fancy lamps and some creativity is all it required to draw this Rangoli. You can observe the design. 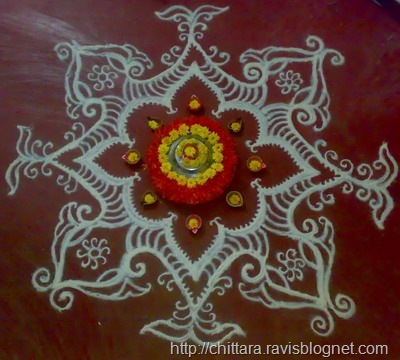 Rangoli White Powder is not used. It’s Rava (Wasted because of insects) from which you make Upma and Kesari Bath is the material. 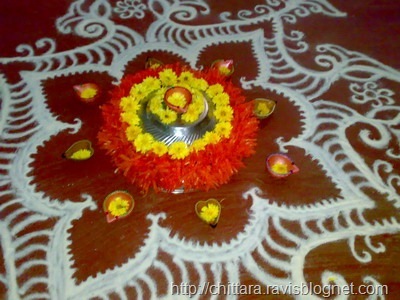 The Real Flower (Yellow) and an artificila onee (Red) a Bowl in between surrounded by flowers. Deepam Lamps. 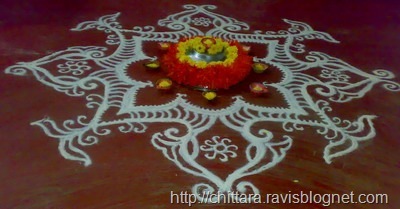 One more creative Rangoli design.